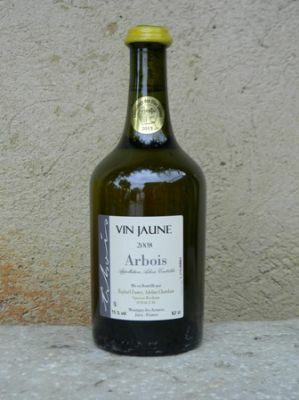 Vin Jaune is the most famous and distinguishable wine from cool climate Jura region. The local Savignin grape is harvested as late as possible, then aged in oak barrels for 6 years where it oxidizes and becomes very similar to dry sherry. Dry and intensely flavoured it needs strong, Burgundian dishes, even spicy Asian cooking to appreciate the complexity on offer here.